First get out a rolling pin. Then make a ball of dough. Flatten the ball on a piece of plastic wrap. Cover with a second piece of plastic wrap. Roll it out with a rolling pin. Not too thick, not too thin, just right! Why roll dough between the plastic wrap? That way, your rolling pin won’t stick to the dough and you don’ t need to add extra flour. Too much flour can make baked goods lose their buttery flavor! We also have a great measuring how-to video to help kids understand the differences between measuring wet ingredients like milk and water, and measuring flour and other dry baking ingredients. 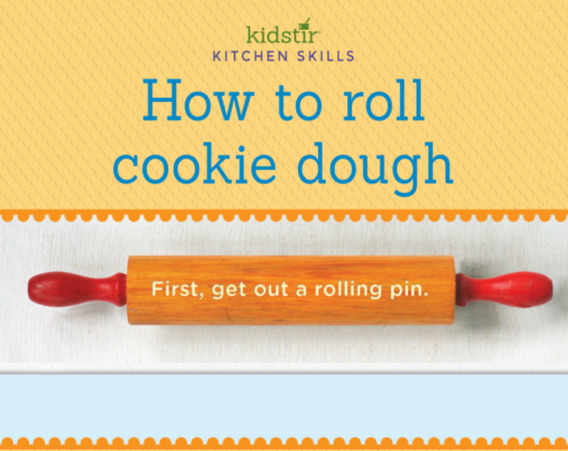 We’d love to offer Kids a How-To Roll Cookie Dough on Infographic for you to share on your blog. Just select and copy the code snippet below and paste into your next blog post. 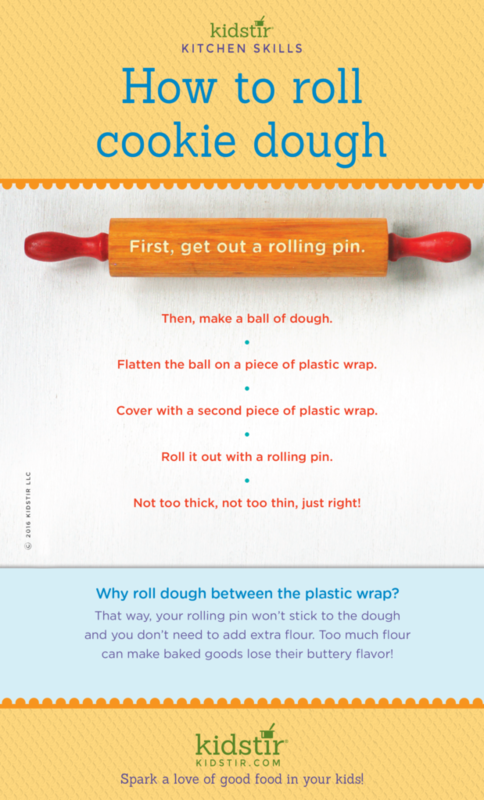 We’d love for everyone to share this page on social media or email using the buttons below so all the kids you know can have fun learning about rolling out cookie dough more easily with plastic wrap!